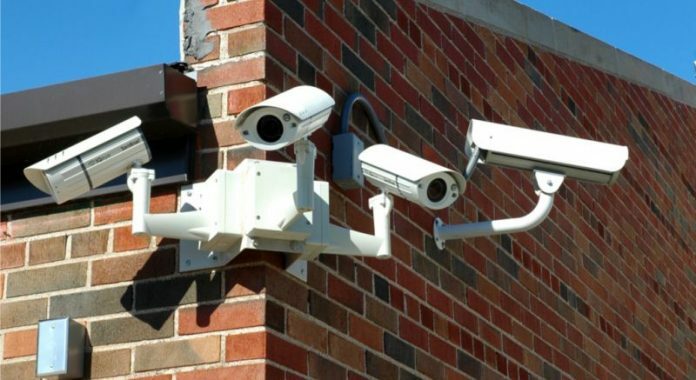 Stock photo of array of school surveillance cameras. The Fayette County Board of Education at the Feb. 26 meeting got an update on safety initiatives. The update came in the wake of the most recent school shooting in Florida. 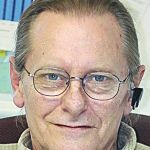 Safety, Discipline and Athletics Coordinator Ted Lombard said six or seven digital cameras are installed in each elementary school, with approximately 30 cameras in middle schools and approximately 60 in high schools. Above, stock photo of array of school surveillance cameras. The school system is planning for approximately 150 additional cameras to be installed during the 2018-2019 school year. Lombard said access control systems are installed for all schools and some administrative buildings, along with access control readers and back-up power supply batteries being installed in all schools. Lombard said two hard-wired lockdown buttons are installed in all schools and most administrative buildings. A special lockdown warning tone can be activated in all school intercom systems and are tested each semester during required drills. Security also translates into everyone in the school, students and staff, maintaining an awareness of the critical job of ensuring safety. Citing an example of how security can be by-passed, one board member noted an experience where a student at one of the high schools propped a rock in a door that made entry into the school for other students a simple matter. Lombard said he will be meeting with principals to address the various security issues and to get their ideas on security measures that might be specific to individual schools. Those measures will include school-level exercises at various times of the day. Another aspect of of emergency planning deals with the reunification of students with their parents. Lombard said the school system is working on a plan, including off-site facilities, that would serve as locations to reunite parents with their children. The Room Verification Status Program (RSVP) has now been updated for mobile phones and tablets. Linked to law enforcement and the county 911 center, RSVP shows the individual school layout and all rooms in the buildings. Lombard said schools and the school system are continuing to tighten-up visitor management, vendor access and key control, while conducting emergency training and exercises. He said Fayette has a robust SRO (student resource officer) program, with a memo of understanding signed by all law enforcement agencies. Next articleIs a traffic light ahead for new intersection in north Fayette?